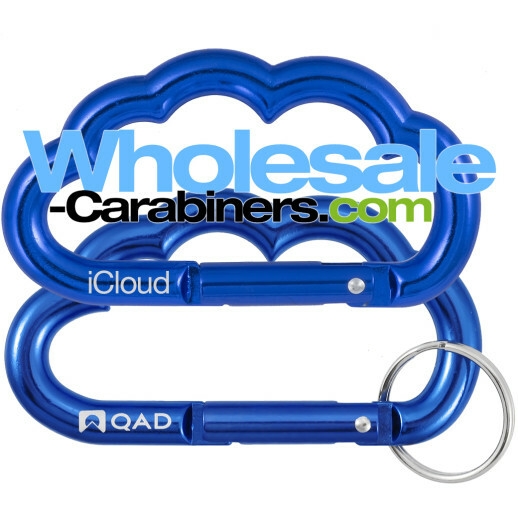 Our cloud shaped (US Patent D658042) custom carabiner comes with laser engraving included in the low wholesale price. Our cloud carabiners are precision molded, providing the detail, precise curves and shapes that only true molding can deliver. With applications from weather to cloud computing, this cloud will fit into any number of branding messages. Second-side — or extra location — engraving is available for only 15¢ per item. 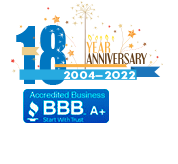 Great to promote your company name or logo on one side, and for your Web address or other information on the other side. U.S. lab certified lead-free: Our precision molded cloud carabiner keychains are 1st quality — they are 100% series-6000 anodized aluminum, providing a safe, tough, rich bright color and finish, and they are permanently and crisply fiber laser engraved at no extra charge, as opposed to silk screened which is prone to flaking. Engraving area: .625" x .15"